Dynamic Stretching: Miguel Angel Jimenez, Mad Man or Genius? After a thoroughly enjoyable weekend of golf watching, I thought I would take inspiration from The Masters for this week’s blog. The subject of this tale I hear you ask? 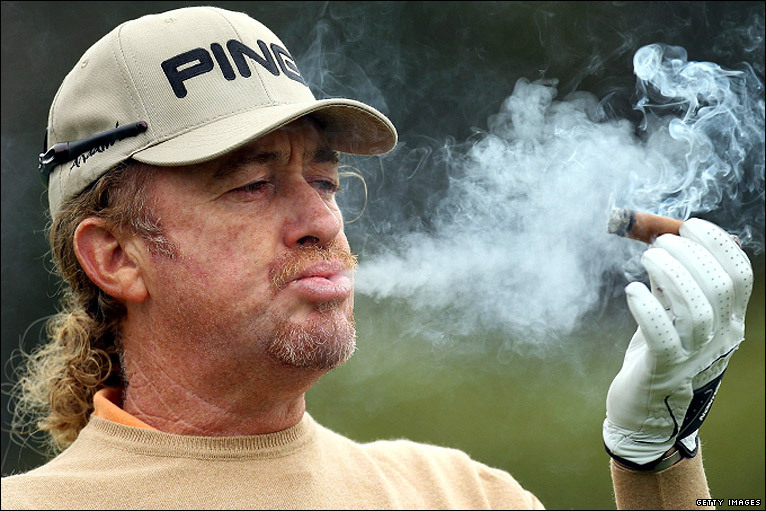 Miguel Angel Jimenez or “The Mechanic” as he is fondly known. Whether it is his tumbling red curly hair or the cigar smoking he is undoubtedly one of the most lovable characters on tour, but for me it is warm up routine that shows me there is more to this man than his caricatured outer persona. It may elect laughter from some of the tour pro’s and spectators on the warm up range but what they may not know is that Miguel’s stretching routine is dynamically releasing muscle after muscle, fascial layer after layer to allow him to start his round with optimal power and flexibility. 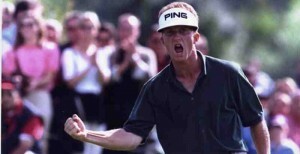 Is this why at 50 years of age he is still able to win on tour and finish 4th at Augusta this week? So what is Dynamic Stretching? 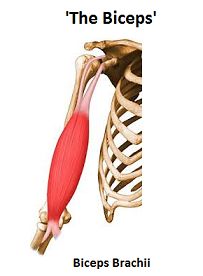 We are all used to getting a muscle into a stretched position and holding it for 20-30 seconds. This is called ‘static stretching’ and is what most people have been doing as part of their warm up for a long time. Over the last few years there has been a real movement towards stretching by moving into a position, moving some more, then returning to the start. The difference here is that yes the muscle is getting a stretch but because you are moving the tendons, ligaments and muscles have to contract and work while you do this which has the added benefit of giving greater levels of functional ability and strength in doing so. It doesn’t take a genius to realise that this must lead to a better warm up as not only are you stretched but your muscles are fired up and ready to go! And finally there is the Fascia. So what is it and why is it important? Our body consists of many organs, muscles, circulatory systems and nerves that work together to make us human. What holds them all together and ensures they work together harmoniously so we move as one strong being is Fascia. A connective collagenous tissue that is multi-directional allowing movement in all planes while keeping everything connected but free to move. Now imagine your muscles are loosened up and ready to go but your fascia is stuck, adhered, knotted. How freely can the muscles move if they are pinned down by this restriction? 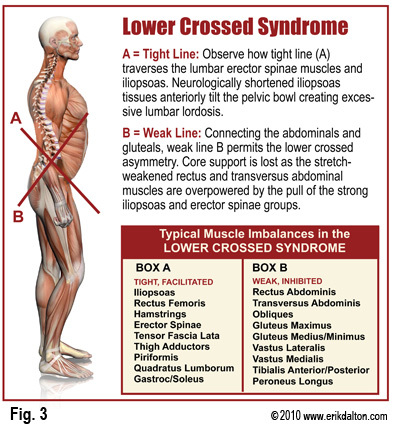 And what is more if this fascia connects everything so that our muscles work together as opposed to independently if we have not stretched the fascia itself how can the whole body work freely to deliver power and movement? A closer look shows the genius of Miguels warm up. First it starts with the wrists, twisting from right to left, left to right golf club in hand, loosening up the wrist flexors, extensors, supinators, pronators, right up to the upper arm and into the shoulder. Right side, then left side. 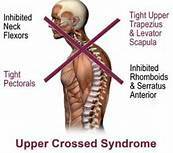 The use of the golf club adding some overpressure to stretch the muscles further than with movement alone. Next he moves into the stretching the superficial back line, using the golf clubs as a stretching pole to reach the arms out and away from the body stretching the muscles of the shoulders, neck and spine. 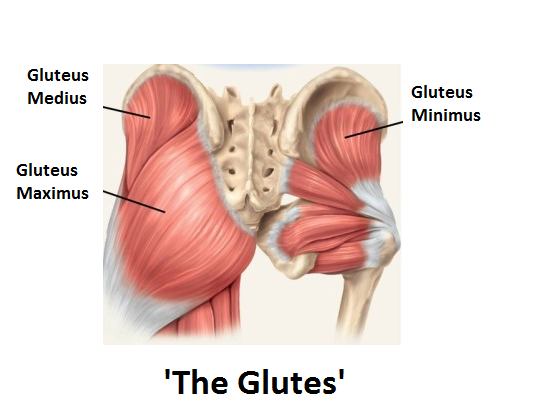 Flexing forward, stretching the hamstrings, bending the knees and squatting down into the ankles releasing the calves. Every part of the back line opening up and releasing. Moving on Miguel opens up the Superficial front line, reaching the clubs over his head, opening his chest, extending the body upwards and backwards opening the neck flexors, abdominals and hip flexors. Next, comes the spiral lines, the most important lines for golf. From the ankles to the knees up to hips, he rotates them in, rotates them out. Briefly moving up to the triceps and the chest again, the harder parts to stretch to ensure that nothing remains untouched. The lateral line comes next, side-bending right, opening up the hip abductors, the QL, the obliques, then mirroring these moves to the left. Again the use of the clubs to add overpressure and additional stretch while challenging the muscles to work, contract to fire. And finally the swing. With everything in place its time to stretch into the movement itself, preparing the body to fire and move for the sport in hand. Again the genius flows through, Miguel swings right to left, right to left, but power comes from movement and if we cannot move from left to right our power is diminished…. so of course he repeats the movement left to right, left to right. What part of the body remains unstretched? Unmoved? Unworked? Nothing. The perfect dynamic warm up. Genius. So now you know the science behind the madness why don’t you give ‘The Mechanics’ warm up a go before your next round and just feel the power you release?